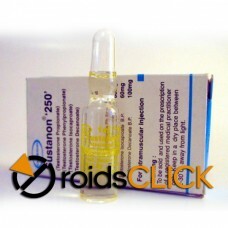 Stanozolol, commonly sold under the name Winstrol (oral) and Winstrol Depot (intramuscular), is a synthetic anabolic steroid derived from dihydrotestosterone. It was developed by American pharmaceutical company Winthrop Laboratories (Sterling Drug) in 1962, and has been approved by the FDA for human use. 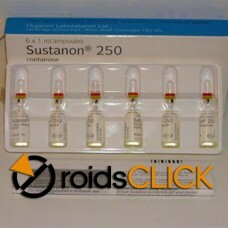 Unlike most injectable anabolic steroids, stanozolol is not esterified and is sold as an aqueous suspension, or in oral tablet form. 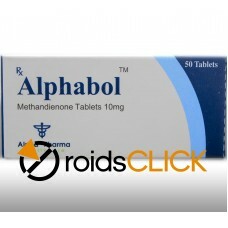 The drug has a high oral bioavailability, due to a C17 α-alkylation which allows the hormone to survive first-pass liver metabolism when ingested. 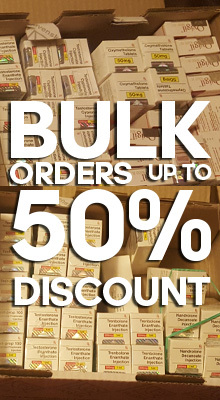 It is because of this that stanozolol is also sold in tablet form. 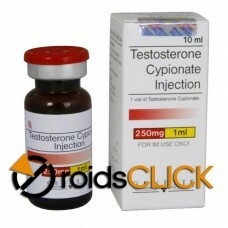 Stanozolol has been used in both animal and human patients for a number of conditions. In humans, it has been demonstrated to be successful in treating anaemia and hereditary angioedema. Veterinarians may prescribe the drug to improve muscle growth, red blood cell production, increase bone density and stimulate the appetite of debilitated or weakened animals. 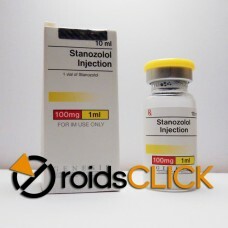 Stanozolol is one of the anabolic steroids commonly used as performance-enhancing drugs and is banned from use in sports competition under the auspices of the International Association of Athletics Federations (IAAF) and many other sporting bodies. Additionally, stanozolol has been used in US horse racing. 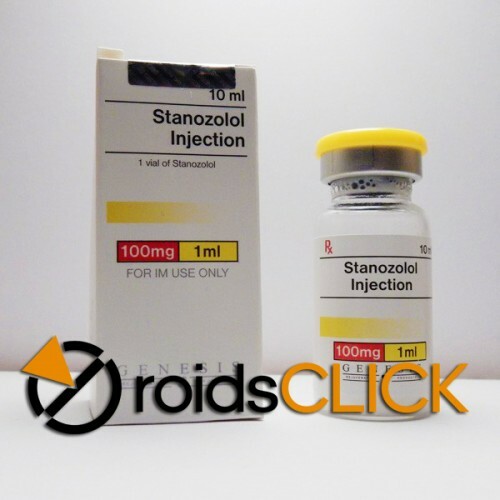 Stanozolol is subject to non-medically supervised off-label use by some athletes for its anabolic properties frequently presenting with concomitant reduction of body fat. Stanozolol is a modified derivative of dihydrotestosterone (DHT) and thus not aromatized to oestrogens via the aromatase class of enzymes (see chemical structure to right). Bodybuilders frequently misuse the term "dry" in describing their joint pain while using stanozolol either orally or via IM injection of an aqueous suspension; a reference to their perceived reason for an increase in joint pain. 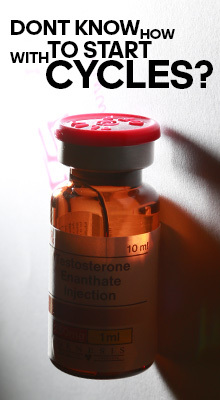 Rather, stanozolol as a DHT derivative can selectively compete with progesterone and other natural and synthetic progestins (nandrolone) for progestin receptors; yielding a reduction in progesterone mediated anti-inflammatory processes and presenting patients with a perception of increased joint discomfort. Check our ARTICLE about winny HERE. 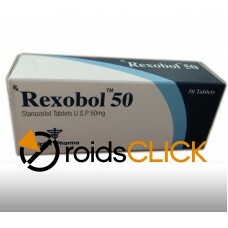 Stanozolol is used by athletes and bodybuilders to lose fat while retaining lean body mass. It is usually used in a "cutting or leaning out" cycle, to help preserve lean body mass while metabolizing adipose, although it has not been proven conclusively that it has any special fat-burning properties. 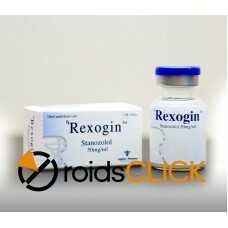 Stanozolol is subject to extensive hepatic biotransformation by a variety of enzymatic pathways. 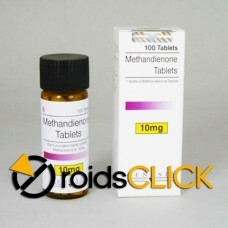 The primary metabolites are unique to stanozolol and are detectable in the urine for up to 10 days after a single 5–10 mg oral dose. Methods for detection in urine specimens usually involve gas chromatography-mass spectrometry or liquid chromatography-mass spectrometry. 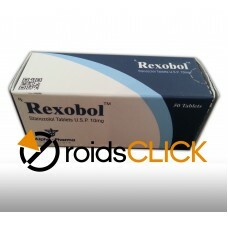 Name: Rexobol 10, Alpha PharmaEffective substance: oral stanozololContent: 10mg/tab (50 tablet..
Name: Rexobol 50, Alpha PharmaEffective substance: oral stanozololContent: 50mg/tab (50 tablet..
Name: Rexgin, Alpha PharmaEffective substance: injectable stanozolol suspensionContent: 50mg/m..